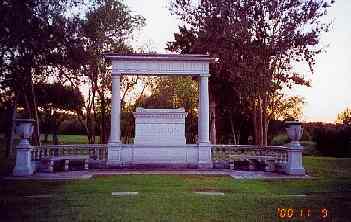 She is buried in Houston's Forest Park Cemetery. Although the Esperson name is prominent, the headstones are quite simple. There are four simple rectangles - Niels, Niels' father, Mellie and someone who might have been Mellie's niece.